We’ve been either traveling or in most cases completely without Internet for almost four days now. So instead of making four back to back posts I’m just going to throw it all together. Especially since we’ve done nothing but travel and hang out in our hotels while it rained. Rained everywhere we’ve been. Flooded as well. This is easily the trip with the most rain and flooding I’ve ever experienced to date. Today is Day 15 here in Brazil. Guess what? The internet was down almost all day again today. Thus the late posting today about yesterday and this one coming to you late as well. By the way, it’s still raining off and on again. We seem to be plagued by rain on this trip so far. Oh well. So be it. Spent the day making the best of it. Had breakfast. Patiently waited on internet that didn’t materialize. Walked the beach between rain sessions. Also squeaked in some pool time between rain sessions. Naturally we watched the games as well. Internet finally showed up around 4PM local time. So we tried to cram in some work and internet play time while the sun was shining so to speak. Finished off the evening watching soccer matches, dinner and TV before nodding off for the evening. Tomorrow is the big day. Game day. USA v Germany. Being a long time fan of Germany and a loyal American fan I’m obviously torn. I’ll wear my USA shirt and my Bayern Munchen hat in a nod towards Germany, my first love of this game. Game time is at 1PM local time tomorrow and it takes two full hours to get there if you know what you’re doing so we’ll be at it almost all day tomorrow. 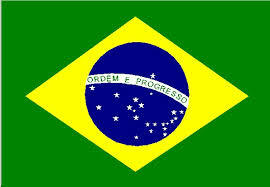 Today is Day 16 here in Brazil. Guess what? It is raining still. Not only is it raining it is flooding here. Based on some contacts with friends back home the flooding conditions here are national news back in the U.S. I can attest it is really bad. We had a very long trip to and from the game and we witnessed area after area, house after house with water inside. These poor people are suffering in my opinion. It is a crying shame. Today is game day! USA v Germany. My two favorite teams in the whole world. Germany has always been my home team. Back in the 80s when I got seriously into International soccer the U.S. didn’t really have a team per se. So since my great, great…grandfather immigrated from Germany to the U.S. in the late 1700s I decided to adopt Germany as my home team. Then the U.S. finally put together a respectable national level soccer team so now I have dual citizenship so to speak when it comes to soccer. After asking person after person we finally pieced together that the best way to get to the soccer stadium here in Recife is to take a taxi from the hotel to a metro station. Then you catch a metro south line into Recife and then transfer to a metro north line to the stadium. When you arrive at the stadium you get a metro bracelet that allows you to transfer to the bus that takes you to roughly 1/2 to 1 mile from the stadium. Easily the closest drop off point for the stadium unless you happen to be Seth Blatter. Total time? It takes two full hours each way to get to the stadium. So by the time you get there, get there early enough to see the teams arrive and warm up (roughly two hours), watch the game and then return you’re pretty much staring at a 10 hour day for one soccer match. That was a tough one considering that every train and bus you’re on is literally stuffed so full you absolutely cannot move an inch and while you’re in the stadium area you’re getting soaked by a monsoon. It was a good day anyway. Why? 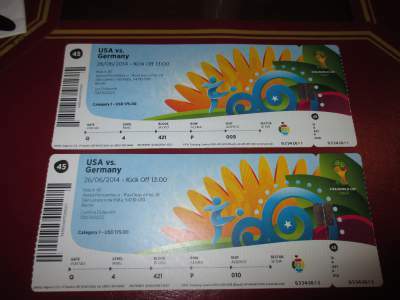 I was in Brazil watching the U.S. soccer team play my beloved German team and both qualified for the knock out rounds. You really can’t beat that regardess of the typhoon blowing through the area. Today is Day 17 here in Brazil. Today is a travel day. We had no way of even remotely figuring out if we could get direct to Salvador and if we’d have a hotel when we got there since WE HAVE NO FREAKING INTERNET STILL so we decided to go ahead and catch our pre-booked 6AM (YAWN) flight to Porto Alegre. We hope to figure it all out when we get there and maybe if we’re lucky we can pick up tickets to the Germany v Algeria game while we’re in Porto Alegre. That would be a super sweet bonus. 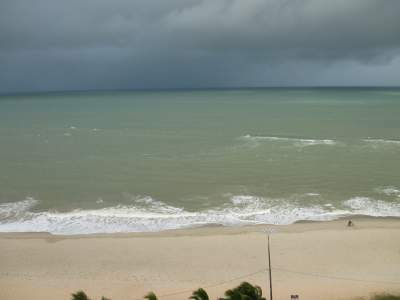 Besides, it is still raining in Recife. DUH! No major issues with flights today other than they were WAY too early and the flight from Sao Paulo was inexplicably delayed for one hour as we burned to death in our seats on the plane waiting. Beyond that we arrived in Porto Alegre, picked up the rest of our tickets for the knock out rounds in the airport collection agency, caught a taxi to our hotel in Centro and got settled in. This hotel in Porto Alegre is easily the nicest hotel we’ve stayed in since we’ve arrived in Brazil. It is a business class hotel with all the associated amenities and more important maintenance and upkeep. Our room is nothing special but it is clean and comfortable and reasonably updated. All of the common areas and facilities are very nice and the service good. I hope to write a formal review barring internet issues. Yes, that’s the one issue here so far. We’ve had internet issues here as well. I couldn’t connect to the wireless from our room so I had to chat with the Brazilian ISP support for the hotel. I think she hardcoded my IP into the DNS. Not the way I would do it but it got me running in the room. Unfortunately I can’t work in the lobby, restaurant or bar any longer. However, Cynthia is the exact opposite. Can’t work in the room but can in the common areas. Bizarre for certain. I was shivering cold this evening so we decided to eat in the hotel restaurant / bar and return to the room. By the time we got back to the room I was then sweating like a pig with fever. Just pushing myself and my system too hard for too long I guess. Today is Day 18 here in Brazil. Guess what? The internet is down again for me and it is raining still outside. Go figure. Breakfast at the inclusive buffet in the hotel. It was comparable to all the others to date. Nicer surroundings though although I’m still fairly found of my alfresco breakfast in Natale overlooking the pool and ocean beyond. The balance of the morning was me using Cynthia’s laptop in the hotel lobby trying to book our travel arrangements for the rest of our knock out games to which we now have tickets in hand. What a frustration. Failed internet connections in the middle. Foreign websites that simply will not approve your American issued credit card. Other web sites that don’t have the same flights as the Brazilian airline sites causing you to extend your trip by three connections and six hours. Extortionary air fares. Why it had to take almost four hours out of my vacation to book two flights and one hotel is beyond me. We watched the Brazil v Chile game with the locals in the bar. That was fun! Man I’m glad they won that penalty kick shoot out. Otherwise I might have feared for my life! Dinner tonight was at Seasons Global Cuisine and Tapas. Fairly highly regarded. I’ll try to post a review later. Today is our 14th day here in Brazil. Our first full day here in Recife. We arrived here in Recife pretty much this morning. By the time we got off our flight, got our bags, waited for a taxi, drove to the hotel, checked-in and unpacked it was right at 1AM. That is pretty late for this old body. Our hotel is in the beach area approximately 14 kilometers from town and the stadium. As a result you’re pretty much held hostage out here unless you want to pay a taxi a driver a lot of money to drive you all the way into town in stop and go traffic. You can also take a taxi back to the airport and then catch the metro train into town. I’m told the entire process is somewhere in the 2 hour hour range. Kind of hard to believe but I’m hearing this from fellow travellers staying here at the same hotel. Speak of the hotel we’re staying at…don’t. It is a real hole in my book. I’ll do a write up on it later but in the meantime I complained about our previous room leaking rain so I was moved to a larger deluxe room that faces the ocean. It is quite a bit better but definitely a sub-standard room in my opinion. We’ll squeak by unto we get out of here Friday. The breakfast was decent but I like it least of the three we’ve experienced so far. Something about runny eggs that set me off first thing in the morning. We spent the entire morning working while we could. Then my laptop lost power and about the same time the wireless connection went down. So we watched the early game with everybody else in the hotel conference room. The hotel provided some bottles of soft drinks, popcorn and chips. It was cool watching with others. The balance of the afternoon and evening were lunch and dinner in the hotel restaurant and watching soccer matches. It’s after 10PM and there is still no internet. The guy at reception says he doesn’t have it either. Maybe tomorrow. 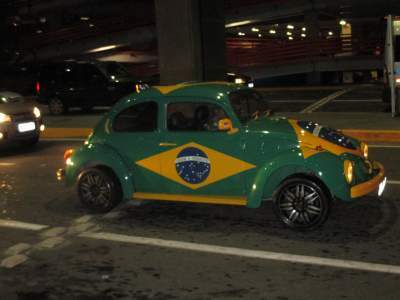 Welcome to Brazil. Maybe tomorrow. HAPPY BIRTHDAY TO MY SON DAVID!!! He always seems to get stuck at home holding down the fort while we’re on the road someplace. Happy Birthday Son. …here…there…everywhere. The floor, the toilet, my wife’s suitcase. Nothing was sacred. I guess it had to happen at some point. Fantastic that it happened on a travel day. Thankfully it was violent and quick. After well over an hour my stomach seems perfectly calm. Today was a travel day. A long travel day. We’ve basically been on planes, in airports and riding in taxis all day today. So there really isn’t anything to report other than we’re finally here in Recife for about four days. We’re here to catch the Germany v USA game later this week before we head off into the knock out rounds. A couple of interesting notes about our travel today. When we landed in Brazilia for our transfer Brazil had just won their game. The city was brightly lit and fireworks were going off throughout the city. It made for a nice show as we were landing. The later as we approached Recife we had an aborted landing. That’s always a pucker up moment for most of the uninitiated on the plane. Apparently his ground speed was too slow due to an unexpected head wind higher than anticipated so just under cloud break right above the ground he realized he was slow and short so back came the yoke and up roared the engines. Second time was the charm. He came in hot and flat and slammed that baby onto the runaway. Full brakes. We were landing this time!